Researchers at the University of Minnesota, Minneapolis, found that it’s not just eating together but how you relate to one another during mealtimes that matters. 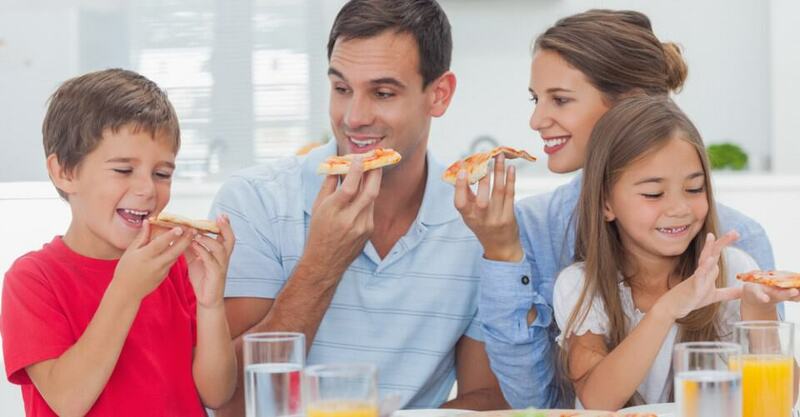 “Significant associations were found between positive family- and parent-level interpersonal dynamics (i.e., warmth, group enjoyment, parental positive reinforcement) at family meals and reduced risk of childhood overweight.” See the study at http://goo.gl/4Dl61t and start eating with your family. But have meaningful conversations, and turn the TV off during meals.